Please Note:If you require professional installation of this product, please contact your local Honda Authorised Specialist Miimo Dealer. This will incur an extra cost dependent on lawn complexity. Installation and troubleshooting guidance available on our Mii-Monitor App. Available on iOS and Android. To help you select the right Miimo for your lawn, try our Lawn Plannertool. *The RRP of the Miimo 3000 (£2,599) does not currently include the necessary boundary wire and pegs (which have a combined list price of £302.91). 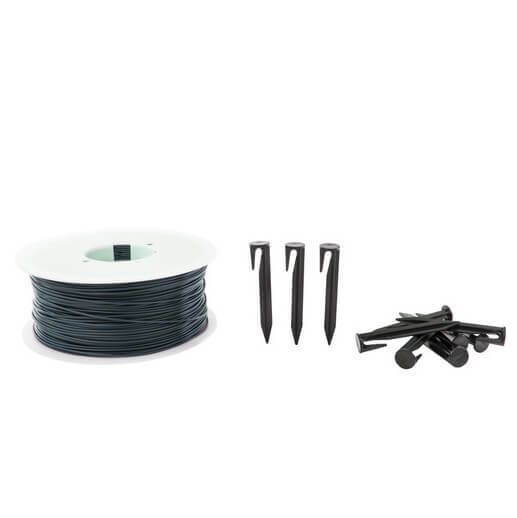 The pegs and boundary wire have been included in your total price and will be delivered with your purchase. 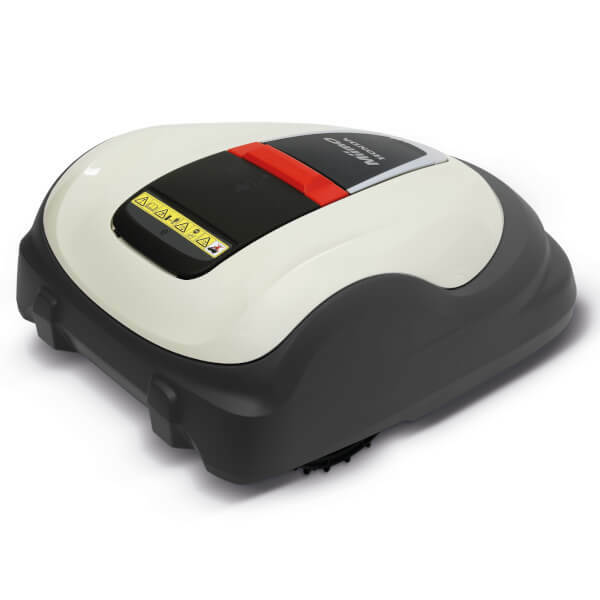 The very latest model in our robotic lawnmower range. It’s able to look after itself if it encounters a problem, by sending a report via the app to a cloud support system which allows your dealer to check it remotely or update any software. Miimo cuts your lawn so you don’t have to. 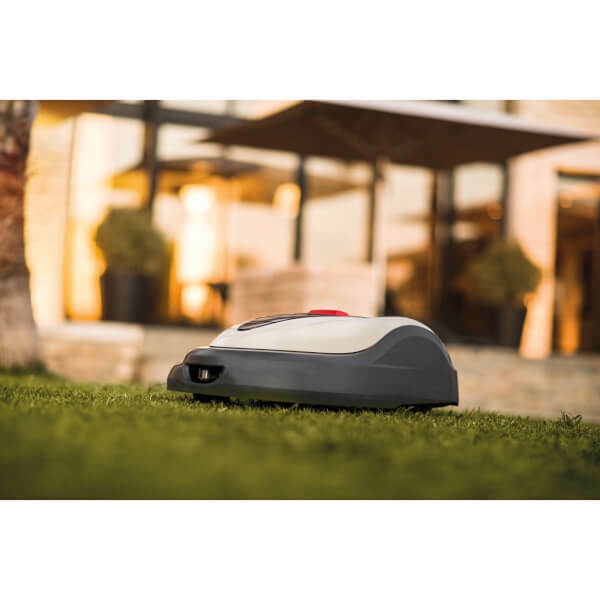 Our range of clever robotic lawnmowers are completely autonomous and can look after your lawn without any assistance by following the layout of your garden which works off a perimeter boundary wire held in place by wire pegs. It uses a unique digital signal to guide itself round your garden, avoiding any possible interference from electronic devices nearby. If you’re concerned about slopes in your garden, Miimo is able to cut on slopes up to 25’ with its high level of traction and grip. Thanks to its rapid reaction lift sensors it will never get stuck in a hole or uneven ground. It runs off a Lithium-ion battery (22.2V/5.4Ah), which offers a quiet, reliable and long lasting source of power, which is also very cost efficient to run, and emits zero emissions. 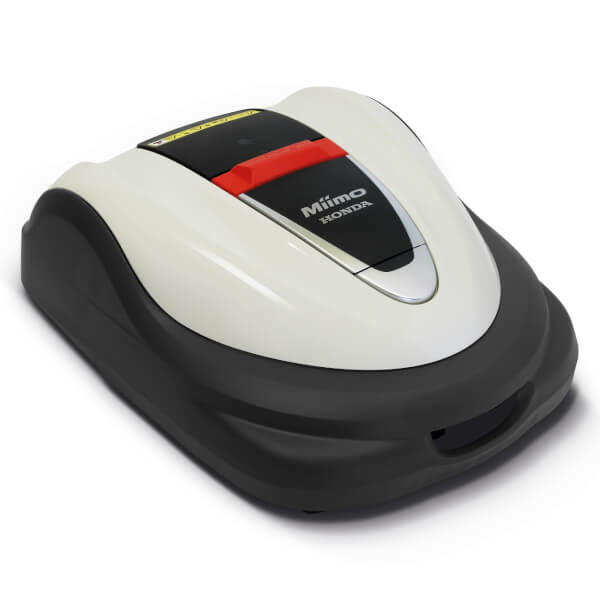 By having a slightly bigger battery than the HRM 520 model, it has a working capacity of 170 m2/h and offers 90 minutes of mowing time per charge. It’s clever enough that when it detects the battery is low it will take itself off to recharge. It’s also quiet and efficient so Miimo can be set to work at night without disturbing you or your neighbours. And if that’s not enough, it’s also weatherproof – so rain or shine your Miimo can work undisturbed. There’s also no need to worry about safety as Miimo has 360’ bump sensors. This means it will automatically stop its blades when it detects it’s being picked up and will automatically turn away from garden obstacles or pets. To protect from anti theft – all Miimo models can be protected with the use of a unique security code, which ensures it cannot be used by anyone else but you. It stops and sounds an alarm as soon as it is lifted and the machine will only restarts once your pin number has been accepted. Rapid Reaction Bump and Lift Sensors: Miimo can sense contact, stopping the moment it touches an object or pet, turning and continuing in a different direction. 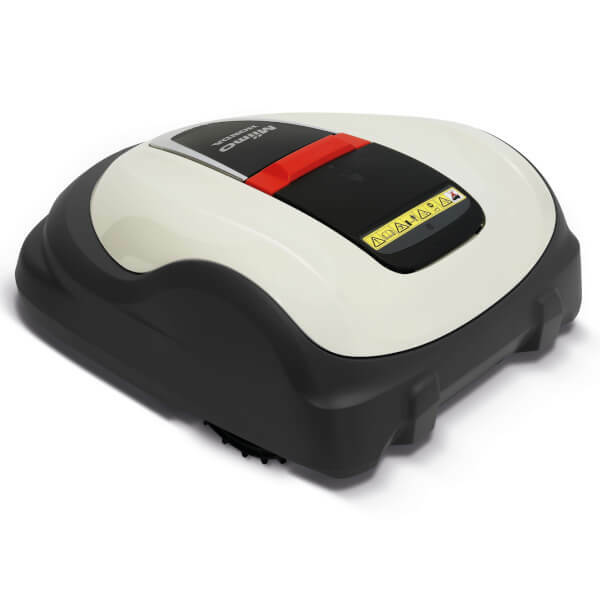 It can also detect lifting or tilting, stopping the blades for absolute safety. Automatic Charging System: Miimo works for as long as you want. When needed, it heads off to recharge itself then gets straight back to work. Micro Mulching: Miimo cuts grass clippings into minute particles so they drop down through the grass and act as a fertiliser. No more walking grass through the house. 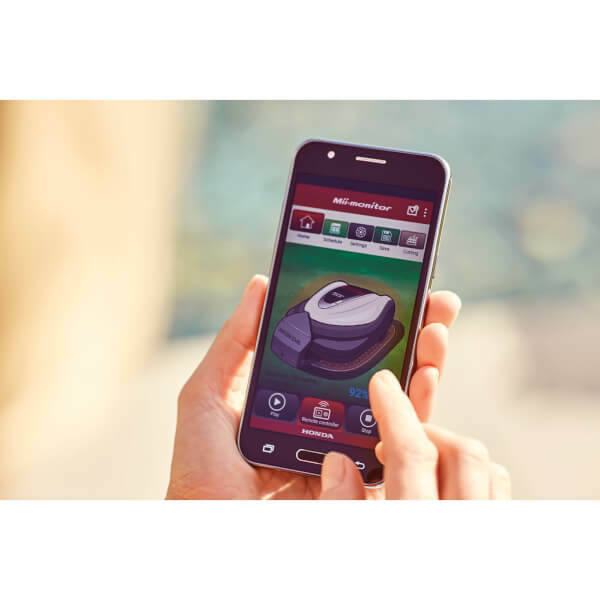 Zone Management: Zone management allows you to control when and where Miimo mows, to ensure complete coverage of your lawn, even in hard to reach areas. 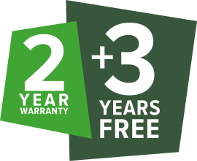 All of our Robotic lawnmower range are incredibly intuitive but if you choose HRM 3000, you will be able to access even more fantastic features. Flexible Docking: Flexible docking allows you to position the docking station in a variety of positions in your garden, including corners, narrow passages or on your patio. Advanced Waterproof: Although all Miimo Models are weatherproof, the HRM 3000 can even be washed with a hosepipe. 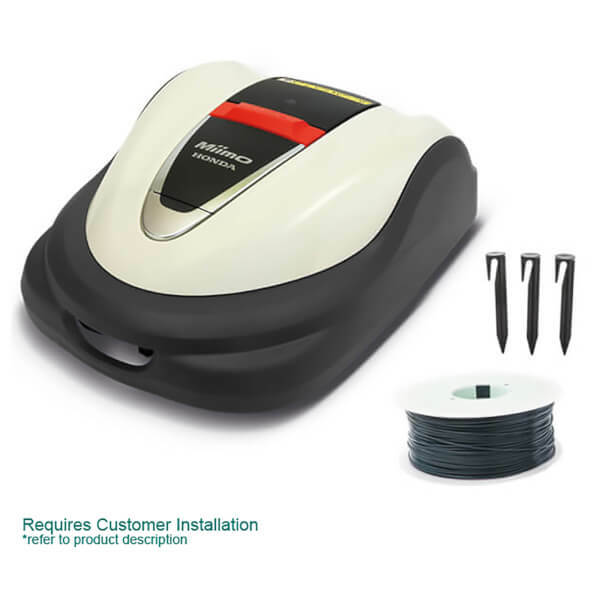 Electric Cutting Height Adjuster: The cutting height can be adjusted electronically, directly from the smartphone app. The approximate cut height range for Miimo is 0.8 in. – 2.4 in. Ideally, the grass should be within the Miimo cut height range to ensure the best cut performance. We suggest using a traditional lawnmower for the first cut of the season then allow Miimo to take over. Miimo can cross over sidewalks and driveways as long as they are level to the grass surface. If the pavement is higher than the grass, a boundary wire will need to be placed around these areas. Stepping stones that are embedded below the level of the grass are generally not a concern. Miimo can only reach areas of your garden that are connected to each other. It cannot cross over a fence or a wall unless there is an opening available. Miimo can handle most narrow passages. Miimo needs at least 1 meter (3.3 ft) wide passages to be able to navigate. Miimo uses starting points to help it reach areas of your garden which are separated by narrow passages. Your flowerbeds are safe with Miimo. Obstacles inside the lawn areas such as trees, islands, or flowerbeds are detected by creating loops around them using the boundary wire. Miimo can also cut around water features like ponds, fountains, and swimming pools. To be sure Miimo does not accidently slip into the water, the boundary wire must be 3 feet away from the edge of the water. Now you can order Honda Power Equipment products online and have them delivered straight to your door. Step 1 – Browse our easy-to-use online store and order your chosen product. Step 2 – It will then be assembled and any packaging disposed of. Step 3 – Your product will be delivered at a time that’s convenient for you. Step 4 – And your friendly local Honda dealer will demonstrate how best to use and maintain it for years to come. *Please Note: If you require professional installation of a robotic mower, please contact your local Honda Authorised Specialist Miimo Dealer. A Honda Power Equipment expert is only a phone call away if you would like your product serviced or need any help or support. Once you have placed your order, we will dispatch the item to one of our authorised Honda dealers. Your Honda dealer will then prepare your item ready for delivery and they will contact you to arrange a delivery time and date suitable to you. The Honda dealer that we assign to your order will deliver the item(s) you ordered. They will be in touch with you soon after your order has been dispatched to them from our warehouse, to arrange delivery. If you wish to delay the delivery of your order, you can do so when your Honda dealer contacts you to arrange the best time for delivery. Yes you do need to be present at delivery, so that our Honda dealer can talk you through the product and demonstrate how it works.